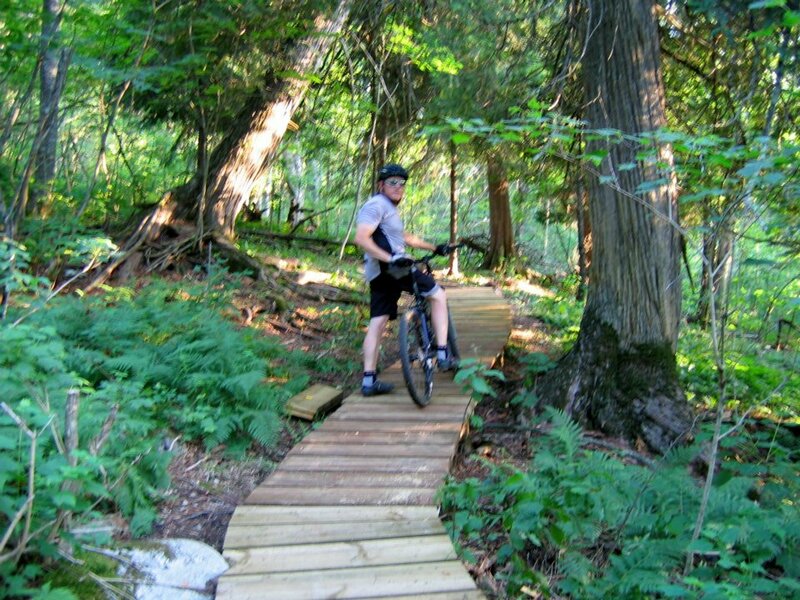 Some great mountain biking can be found within the Sugarbush ski area in Tofte and at Pincushion Mountain in Grand Marais. The trails are encompassed within the North Shore cross country ski trail network and offer many different loops that vary in length and difficulty. There is lots of ups and downs with amazing views of lake Superior and surrounding Sawtooth mountains. Beginning in June 2011 construction started on a plan to build new mountain bike singletrack within the Superior National Forest. This was the first plan in the state to get approval from the National Forest Service. Fast forward to 2018 and factor in many thousands of dollars and countless volunteer hours and now we have more than 16 miles of beautiful trails on either side of Cook County for your next mountain biking adventure. 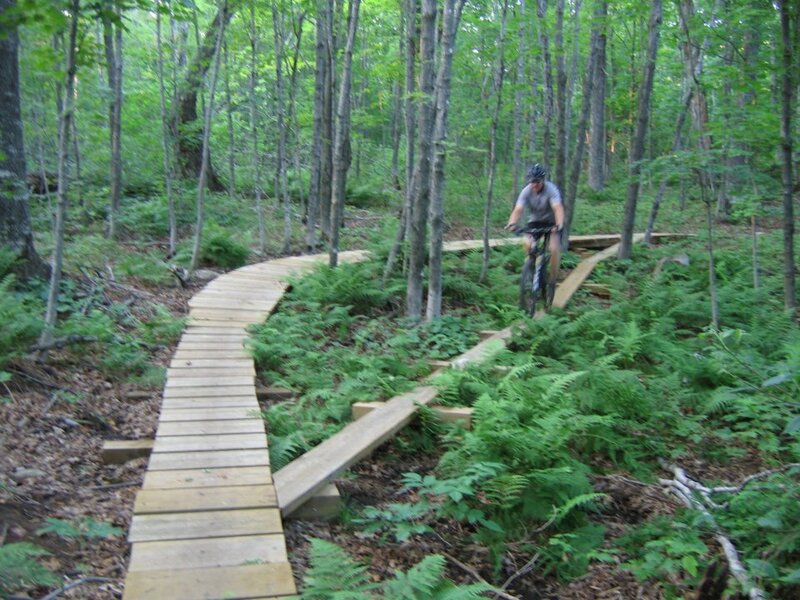 Approximately 26 miles of single track trails have been planned for Sugarbush and a similar amount for Pincushion. Now Cook County will have real potential of becoming a great riding destination. Trail construction update: A proposal for an additional 15 miles of point to point trail (starting from the existing trail network at Britton Peak and connecting to the Lutsen Mtns. ski resort area) has made it over all necessary hurdles and construction will begin summer 2018 with substantial completion around 2021. Funding is still needed to complete the proposed 50 miles of trails to make Cook County a true mountain biking destination. Please support the following clubs in their efforts to make this a reality: the Sugarbush Trail Association and the Superior Cycling Association. Each year a little bit more of the Gitchi-Gami State Trail is completed, and we are fortunate to have a beautiful 11.5 mile section that is finished. One of our favorite outings is to ride the trail from the town park here in Tofte, down to Schroeder for a pastry and coffee (or lunch), and then ride back through Temperance River State Park, taking a break to search for agates at the beach. The 14 mile section south of here that connects Beaver Bay with Split Rock Lighthouse and Gooseberry State Park is the longest continuous section of the trail and another great ride. Take the time to visit the lighthouse and the beaches at both of the parks; they are well worth it. The Gitchi-Gami State Trail is still in development and well worth supporting. This trail is an amazing asset to the North Shore and will eventually connect Two Harbors and Grand Marais, running through five of the State Parks along the North Shore. Visit www.ggta.org to become a member and learn more about future construction. The North Shore has miles and miles of secondary and forest service roads and lots of possibilities for biking. Another great ride is the Timber Frear Loop. It is located about 20 miles from the shop and is a 20 mile loop on some maintained forest service roads but mostly on unmaintained forest service roads. Whitefish Lake Access is a great place to start from and a great place to swim when you are done. Brought up your road bike? There are some great road rides on the shore as well. 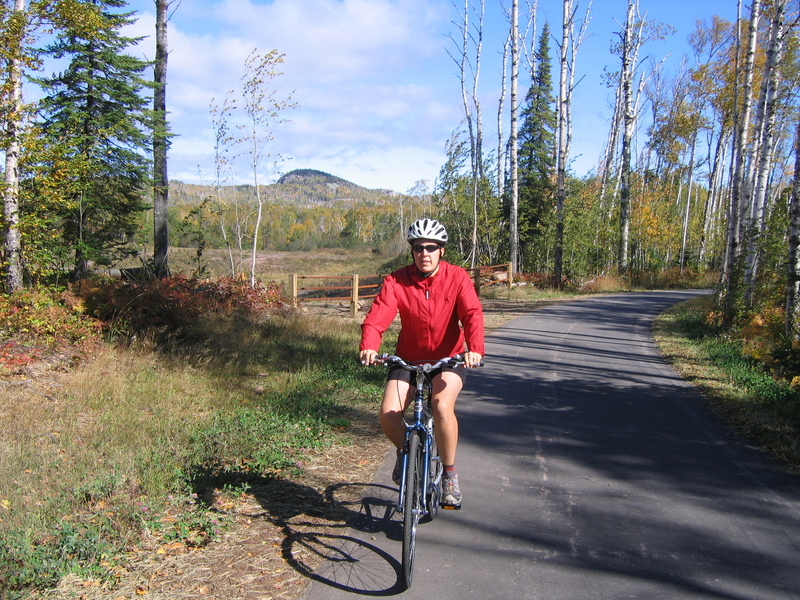 These include the Gunfint Trail out of Grand Marais, the Caribou Trail in Lutsen, and Lake county Hwy 11 out of Silver Bay. With road improvements and widened shoulders, some sections of Hwy 61 are safe and enjoyable to ride. Other sections have little to no shoulder, cracks in the pavement, pot holes, and can be somewhat risky, especially if you are riding north on a Friday afternoon or south on a Sunday morning, which is when you will encounter the highest levels of traffic.